If you’re a Marvel fan like me, you’ll know that Deadpool 2 is coming out soon. What you may not know is that Deadpool is hugely popular here in Japan--somewhat unexpectedly so. 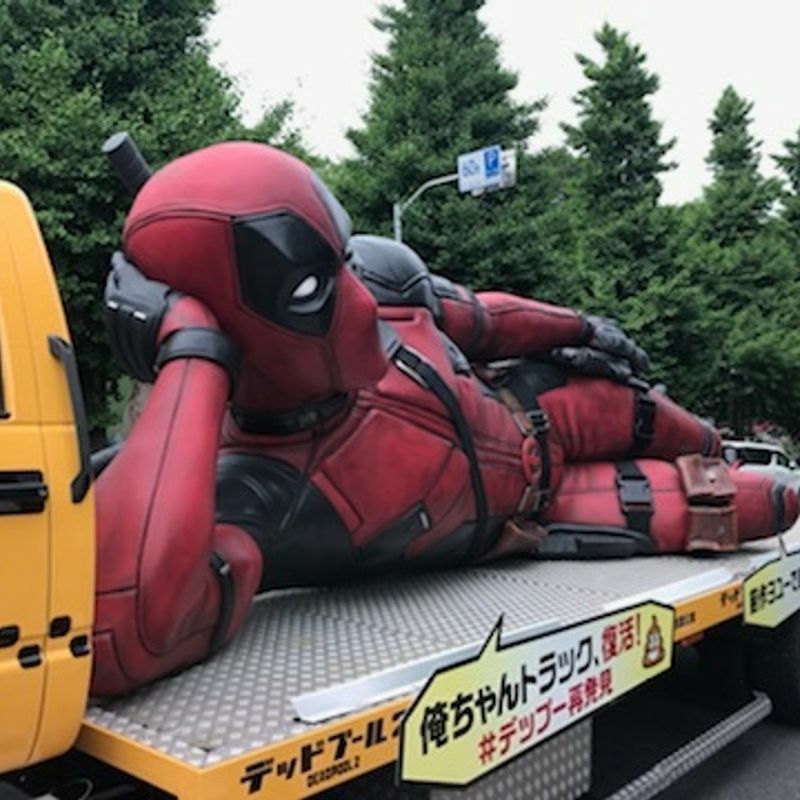 The thing is, Deadpool's raunchy humor rife with pop culture references doesn't translate immediately well to Japanese, and there was not a huge Deadpool comic following in the country before the first movie was released. That didn't stop the first Deadpool from taking the country by storm, however, and if this giant ad in Harajuku is any indication, then Deadpool 2 is likely to have the same success. But in case you're wondering, Deadpool is not the only American film icon that falls into this category of unexpectedly popular raunchy heroes. Ted, the profane bear and brainchild of Family Guy creator Seth MacFarlane is another one that won over Japanese hearts. Perhaps there's something to irreverent, off-color American heroes that resonates well here...hopefully that sentiment stays relegated to the movie theaters, though! Yea, my (Japanese) partner loved Ted although didn't get round to seeing "Ted 2" (which might have been down to me -- wasn't sure there was any need for a second one).